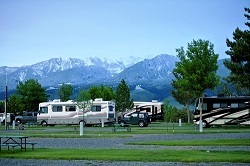 Owning a motorhome or recreational vehicle is a great experience. The opportunities that you have for adventure increase greatly with such a vehicle. However, the maintenance and motorhome interior electrical services for such a vehicle are also very important. 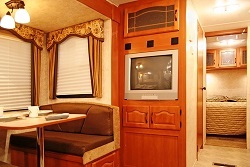 Auburn recreational vehicle owners will agree that motorhome interior electrical services are important for each and every one, as it ensures that all the facilities and luxuries in the vehicle are working properly. Auburn Sounds on Wheels is one such provider for motorhome interior electrical services in the Auburn area. We are known to provide the highest level of services in the area. Boats are also a great way to relax and enjoy a life on water. Boat electrical systems are quite different from that of a home or a vehicle. As boats are located on water, their electronics take an entirely different form. As a boat gets older, its parts begin to take more wear and tear. Boat electrical systems also function in the same way. They also need to be taken care of. Therefore, it is best to find a boat electrical systems service provider who can take care of the entire system. In addition to boat electrical systems, the audio systems, lightnings and other appliances also function on electricity, which makes it vital that they are kept in the best state possible. Why Choose Us for RV and Marine Interior Electrical Service in Auburn? Not only do we provide motorhome services, but also boat electrical system repairs and maintenance that are necessary for the proper functioning of any vessel. If you need such services from us, then contact us at 253-217-4800 and find out about our entire range of motorhome interior electrical services and boat electrical system services.